ProHormones are Back! For those of you who have followed Pureline for any length of time, you have no doubt heard about our OLD SCHOOL Testojet Formula. At the peak of the ProHormone Era Testojet was our stand alone tried and true pro-hormone stack that rocked everyone who took it with slabs of lean dense muscle while shredding pounds of fat off. With the dreaded ProHormone Ban of 2014 most pro hormones were gone forever.. Or so we thought! 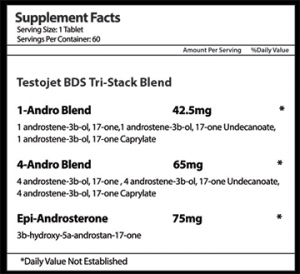 Through a radical and patented new processing technique, researchers were able to isolate several Andro molecules that were not included on the pro-hormone ban leaving us with some new and powerful compounds to help take your size, strength and mass to another level! Introducing Testojet BDS (Bi-Layer Delivery System). 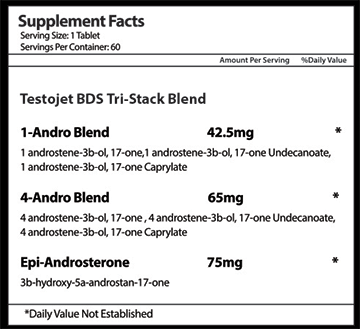 Testojet BDS is a Triple Stack ProHormone Compound that combines 1 Androstene, 4 Androstene and Epi-Andro in revolutionary Bi-Layer Deliver Tablet. 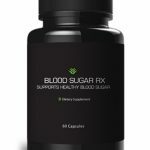 This tablet encloses the Andro molecules in a Cyclodextrin and Lipid encasement which improves absorption rates of the Testosterone based molecules by over 60%! What does this mean for you? Simple, the more Testosterone available in the blood stream the more opportunities that exist for growth, size, mass and lean muscle. Testojet BDS is the most powerful version of Testojet ever released. 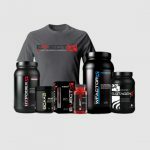 If your goal is to put on 10, 20 or even 30lbs of mass with an all in one “Anabolic Agent.” Then look absolutely no further! Testojet BDS is the answer. Initial reports have users putting on extremely dry muscle tissue with zero to no water weight. 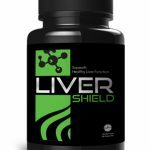 One of the highlights of the new BDS delivery system is their low toxicity when it comes to liver and organ stress. This means better results, less side effects and less time between cycles. Best results come at 4-8 weeks so 8 week cycles are recommended. Once a 4, 8 or 12 week cycle has concluded, users should combine PCT, Testoplex and TDrive for an adequate 4 week post cycle therapy. After PCT has concluded take an additional 4 weeks off everything before starting a new cycle. 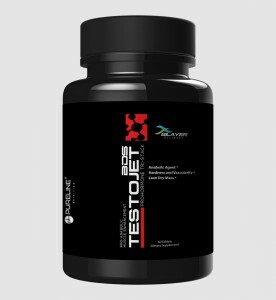 If you’re ready for shirt ripping, vascular arms and thick lean muscle tissue then look no further, Testojet BDS is here! Suggested Use: Take 1 tablet 2x per day by mouth.